Our journey into iPads has brought with it increasing demands on us as educators to make a difference. We suddenly have really accessible and powerful options available. 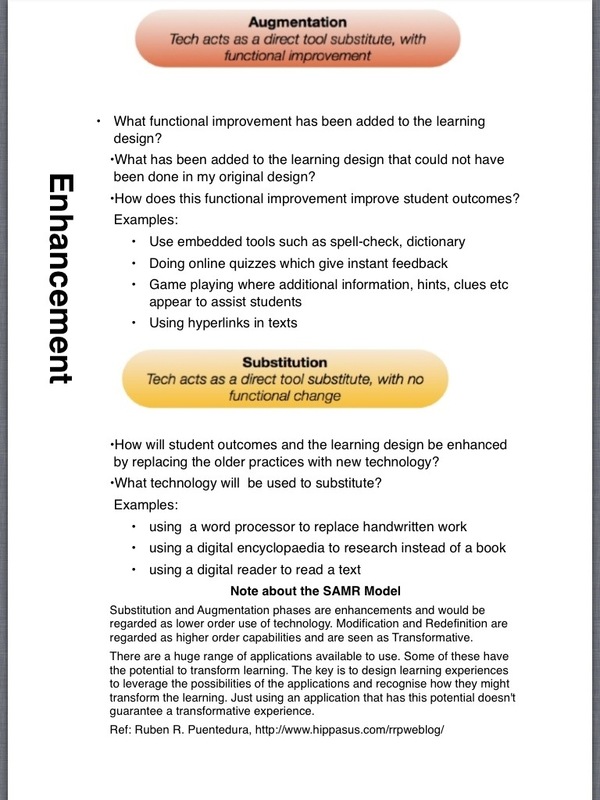 The SAMR Model (via Dr Dr. Ruben Puentedura) offers a useful scaffold. I have been exploring this model and have tried to simplify the process. This is a work in progress. 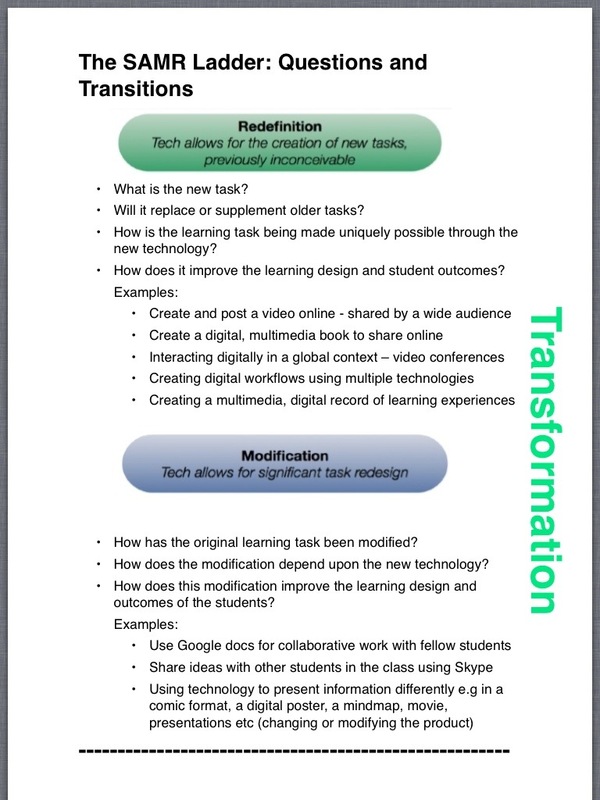 Transformation SAMR and Redefinition – this links to a new post where I look at how apps could be used in the “Redefinition” stage. Applying Apps to Learning Tasks – SAMR – this links to a new post where I look at how apps could be used to transform some traditional learning tasks. I attended a conference and a couple of seminars with Ruben. These are a few notes and links.